Loads of things use Azure. Watching the Gears 5 trailer again, I hope it doesn't get downgraded. It looks too good in that E3 pre-release kinda way. Just announced on their stream: Turn 10 will be sharing the first bits of information about the next Forza Motorsport on the next Forza Monthly on May 7th. "First news on the next Forza Motorsport at next month Forza Monthly". From todays Forza Monthly show. They stated they want an open development this time. The news is probably about how to connect with the devs, a feedback program, maybe even registrations for flights, how to participate in development etc. - something along those lines. Don't expect anything too substantial yet - it's simply too early for that. Well, they already announced the Discord on the last episode when they stated they were moving on to development of the next title. Maybe they go for something like a Forza Insider program? Yea, something like that probably. hmmm could a new release be coming this year? We have games like Battlefield V running at 1080p/60fps on base XOne, yet we have to expect downgrade from a First Patty studio? In a game with 30fps as target? So may 7 we get info on the new FM game. A NextBox launch with Halo and Forza launching day and date would be a) cool and b) peak Xbox. Agreed. I dont want a new Forza unless its Scarlett focused. ok maybe a release next year then? Please be tech focused and say it's going to use real time ray tracing so everyone can lose their minds figuring out how Scarlett is going to support it. Nextbox with Halo, Forza and Fable would be killer. Halo, Forza and Ninja Theory game will be great and imo realistic. Mistwalker and Grounding Inc would be amazing. Both have insanely talented creators that have worked with ms in the past. Give them some big teams and money and see the magic happen. With Octopath Traveler getting a PC port, maybe an Xbox one will happen. I think Fable is decently realistic if it's launching next year. Wasteland 3 is due to hit Early Access late this year, so the game may show up at E3 too. PC and maybe Xbox Game Preview if it’s in a stable enough condition. Im also kind of split on whether I want to see Compulsions new IP on the neXtBox or not, on the one hand I do, but on the other hand I'd really like to see then swing for the fences, and if their next game is ready inside 2 years, it probably won't be the big ambitious shot I'm hoping for. I've seen a lot of people dropping the studios that are partnering with Focus, but some games are about to come out, like A Plague Tale from Asobo and The Surge 2 from Deck13. It would be something like Obisidian and Private Division. Man, senua's sacrifice is just one incredible scene after another. Incredible atmosphere and setting. Cannot wait to see how they grow let alone what's next from them. That is too much for launch day. Launch window would work. Halo, Forza & KI2 launch day, Rare IP a month later and NT's game a month after that. I disagree. Gamers are their thirstiest at a console’s launch - a nice selection of games will sell well and give Xbox a huge boost in consumer confidence. While I agree, there are also going to be plenty of 3rd party games as well. I would love that as a launch day one list, but I also think they need to have some games in "back up" positions a month or 2/3 after launch. Blowing your load on launch and then have a 1st party dry spell would not be good as well. Gamepass. Microsoft wants to give people reasons to stay subscribed past the 14-30 day trial that will be included with the console. Yeah I get that. And long term that’s obviously the best thing to have a drip feed of games. But I think launch is a special case, especially with first party. If you’re not able to release it at launch, then hold it back 3 or 4 months. It just looks weird only a month or two after. 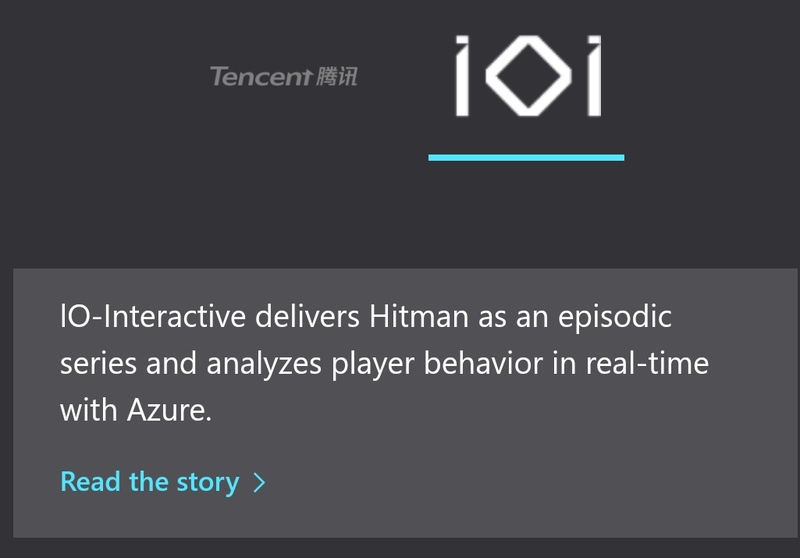 That IO-Interactive is using Azure is already old news (since 2017) and can be used for every platform. I don’t think Microsoft will be too concerned about the optics. They stacked the Xbox One launch lineup as best they could and it didn’t really do them any favors. Both the PS4 (no serious AAA exclusive) and the Switch (only Zelda) have shown you can have a successful launch without a ton of first-party content. The value proposition of getting something new every month is far more intriguing to me. Third-party stuff will dominate launch day anyway. It is less than 2 months until E3 and we still haven't heard a word from MS and Insiders aren't talking either .... MS is definitely getting ready for a big show..probably saving the new acquisitions for the event. It's going to be interesting.